Emily Wayne is a freelance illustrator, artist, kitty lover and hedgehog enthusiast from Westhampton, MA. She has her BFA from Massachusetts College of Art & Design, and she aspires to illustrate children’s books. 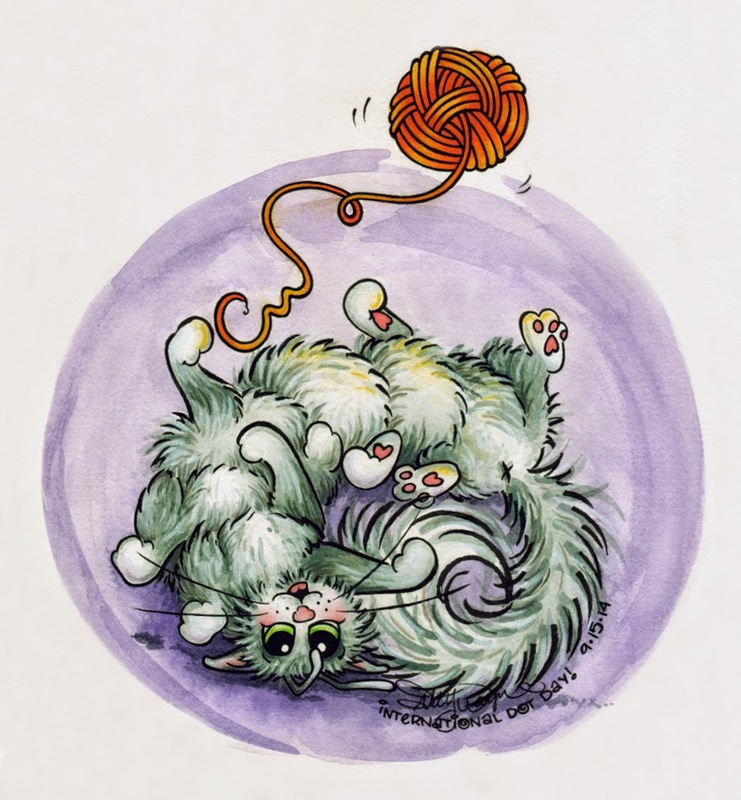 She primarily works in colored pencil, but in true Dot Day style decided to step outside her comfort zone in both media and color palette and try something new – her CATerpillar dot is done in watercolor. You can visit her website at www.emilywayne.com to find out more about her and her work.